exhibition history: OMCA, Great Hall Low Bay, "Ansel Adams: Inspiration and Influence," 2002.OMCA, Great Hall, "Yosemite: Art of an American Icon," May 19 - August 26, 2007. 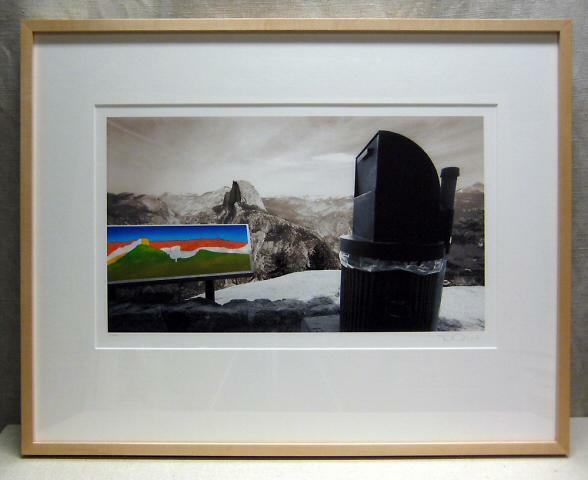 This is a color inkjet print on paper of a photograph showing a Yosemite landscape. In the foreground, a didactic panel on the left shows a graphic of the mountain range and a covered trash can is visible on the right. 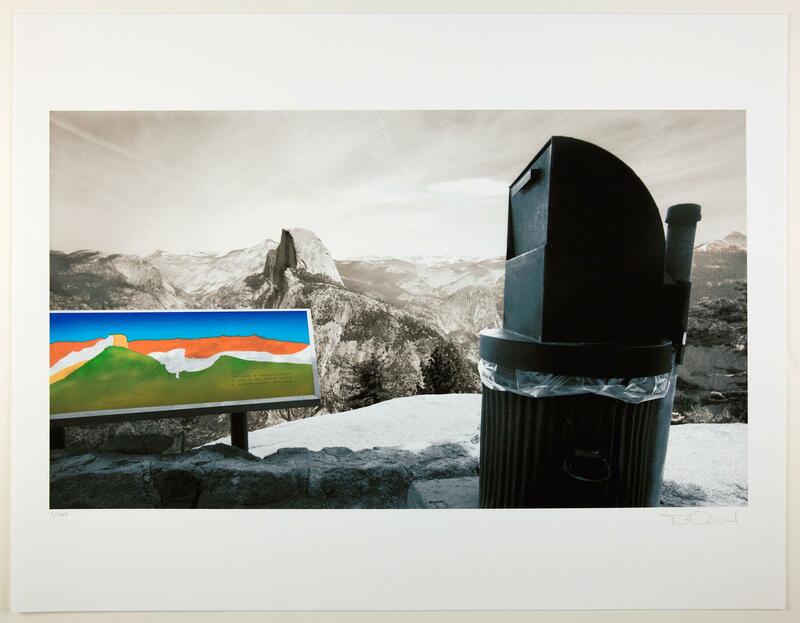 The shape of the top of the trash can mirrors the shape of Half Dome, which is visible in the distance just left of center in the composition.